Providing you the best range of agro waste briquette making machine and agro waste processing machine with effective & timely delivery. With the support of our adroit professionals, we provide our clients a high qualityAgro Waste Briquette Making Machine. Procured from trustworthy sources of the industry, our offered machine is precisely engineered using the best quality components in adherence to set industry standards. Owing to its different quality attributes, provided machine is widely praised by our esteemed clients. We offer this machine to our clients at market leading prices. 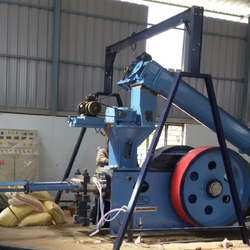 With the support of our adroit professionals, we provide our clients a high quality Agro Waste Briquette Making Machine. Procured from trustworthy sources of the industry, our offered machine is precisely engineered using the best quality components in adherence to set industry standards. 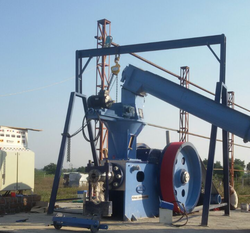 Owing to its different quality attributes, provided machine is widely praised by our esteemed clients. We offer this machine to our clients at market leading prices. • Finished Product Length: 6" to 12"